Dr.Charles Stanley's new series of Bible study guides features insights and wisdom of this beloved pastor and author. Small groups and individuals who want a Bible study that's spiritually sound and practical will find a wealth of ideas to help them understand and apply the Scriptures to the real world. Each title takes a unique fourfold approach to get the most out of Bible study time-emphasizing personal identifications with the Scripture passage, recognition of your emotional response, reflection of the passage's meaning and application, and taking steps to apply what's been learned. This is a sound way to explore the Word of God. 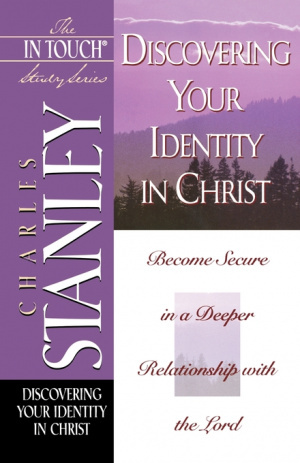 Discovering Your Identity in Christ: The In Touch Study Series by Charles F. Stanley (personal) was published by Thomas Nelson in July 1999 and is our 23995th best seller. The ISBN for Discovering Your Identity in Christ: The In Touch Study Series is 9780785272885. Be the first to review Discovering Your Identity in Christ: The In Touch Study Series! Got a question? No problem! Just click here to ask us about Discovering Your Identity in Christ: The In Touch Study Series.